The 65-inch TV from Shinco is undoubtedly an affordable option when it comes to picture quality and sound output but is it smart enough to compete with its peers? A thin-screen TV in your living your room has snob value—if you can afford one. 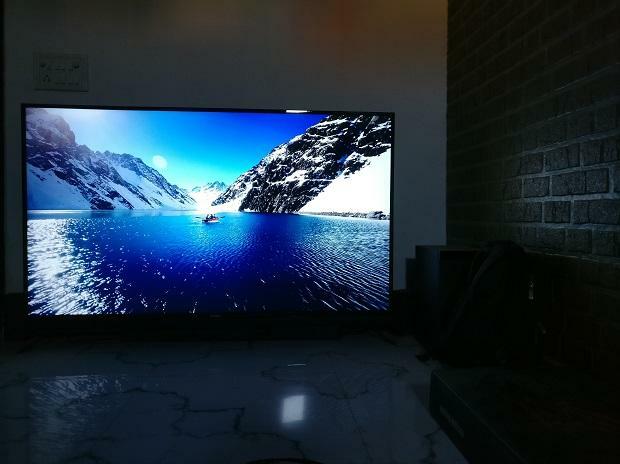 Noida-based Videotex International recently launched Shinco: a 65-inch LED TV for Rs 49,990. We take a look at how the fares in terms of viewing experience and quality. The TV has thin bezels but the slim panel and the plastic finish give it a cheap and flimsy look. The back and the right panel houses all the input ports and connectors. The ports are pretty standard: 3 HDMI, 2 USB, VGA, and a Rj45 port for internet connectivity. The simple and clutter-free design is something I liked the most, but this might not appeal to many. For the price, the picture quality is great and there is no doubt about that. The clarity and colours that are produced on screen give you a brilliant viewing experience. I did not feel that any colour was too dominant and the colour balance was at par with higher range products. 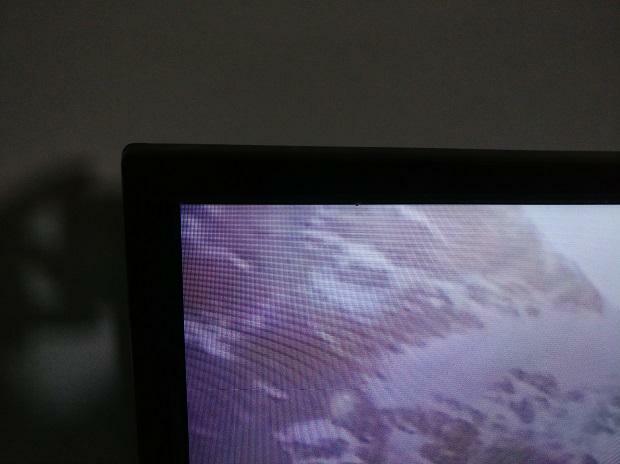 The viewing angles are not bad, either: I noticed minimal contrast degradation when viewing from extreme angles. However, the TV's processor stuttered a lot while playing 4K videos from the YouTube app present in the TV with the audio-video getting desychronised and even stopped at times. The TV from Shinco amazed me with its sound output. The mids and highs were clear and the lows were belted out with great ease. The bass was also up to the mark and I rarely used my speakers while using the TV. 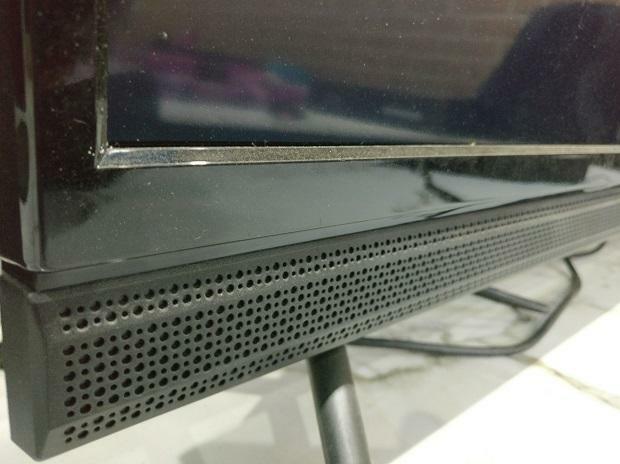 While surround sound while watching movies is something that needs a 5.1 channel speaker's expertise, movie watching is not bad and infact upto the mark thanks to the 20W inbuilt speakers of the TV. While there is no question about the picture quality, a screen with 120Hz refresh rate or even a 60Hz refresh rate would have been better as watching high quality 4K on the 30Hz screen is frustrating at times. However, given the price point, the low refresh rate can be overlooked but things get tricky when it comes to the operation level of this TV. The CPU is based on Cortex A73 Dual Core processor coupled with a Dual Core Mali450, 1GB of RAM and 8GB of internal storage. The speed of the processor is below par to say the least. While you can browse through various menus with ease, the hardware lags frequently and is annoying at times. The interface is simple but navigating through it becomes tiring at times because of the occasional lag. Also, the memory falls short in case you want to install some streaming apps instead of the pre-installed ones. The regular updates eat up all the storage slowly and providing ample space is something the TV manufacturer should work on, in case of smart TVs. The viewing experience gets marred by lags while switching from one app to another. The TV also has a built-in WiFi and some smart features like screen capture and screen mirroring which seem to work just fine. The remote control feels sturdy and has a host of keys needed for day-to-day usage. The device has dedicated buttons for YouTube, Netflix and Hotstar. It also has a QWERTY keypad on the flip side. A mouse button has also been provided, which on pressing brings up a pointer hand on the screen that follows the motion of the remote. Using the remote as a mouse pointer is more convenient in browsing through the TV but typing on-screen with the pointer will probably be the most boring thing that you will do all day, so the QWERTY keypad is best suited for the job. While you cannot play any games on the TV, you can cast your smartphone or tablet screen on the TV and enjoy it on the big screen. The Shinco 65-inch is an affordable option for those looking to buy a TV that does not compromise on the picture quality. The sound output is also appealing but the occasional lag is a factor that spoils the viewing experience. If you can overlook that and want a screen only for high-quality content viewing, you can go for it without burning a hole in your pocket.